drip-drop-drop. the rain party is going on. Spring The weather is beautiful. The sky is blue. The birds are singing. The trees are green. Summer The sun is shining. The weather is warm. I have a vacation. I swim in the sea. Autumn The sky is cloudy. It often rains. The wind is strong. The leaves are colorful. The birds fly away. Winter The weather is cold. Oh, oh, how cold. It snows. = The snow falls. Snow is on the ground. A snowman stands in the garden. A: When is your vacation? A: What will you do then? B: I’m going to France. A: Who will you go with? A: And how long will you be there? A: You know I’m going to Norway on vacation. B: Oh, how nice! 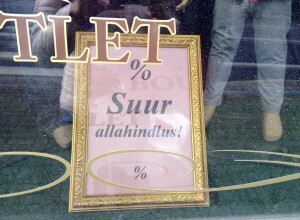 Norway is a very interesting country. A: Yes, it really is. I have been to Oslo already. Now I’m going to Northern Norway. B: How long will you be there? B: I wish you a good trip and send us a postcard as well. What is Good in Spring, Summer…? In spring the school ends. In spring there are snowdrops in the garden. The days are already long. The birds come back from the southern land. I like to walk in the park and in the forest. I have vacation and I live in the summer cottage. A rabbit hopped in the forest. I like short white nights. It was in good mood. There is no school, because it is a holiday. He hopped all the time hips and hops. I like to swim in the sea or lake. The tail did sips and sops. I like to ride a bike. Then is my birthday. The rain is falling drip-drip-drip. All the trees are colourful. Rainfall, don’t be long. I like it when it’s raining. The rain is falling drip-drip-drip. Then I sit in the room and watch out of the window. Into the room runs a little Mikk. Apples, pears, and plums are ripe in the garden. In winter there are Christmas and New Year’s. The land and trees are white. I like it when it’s snowing. Winter is beautiful in the forest. I like the cold weather. I like the dark evenings. A snowman, you a funny guy/man. a face round like the moon. Black eyes, a black mouth, You will melt and become small. In the summer it’s so beautiful in Estonia. The days are long and the nights are short. When I go to sleep at night it is still light. When I wake up in the morning, it’s already light. We like to travel only in Estonia in the summer. We have already been everywhere indeed, but we always want to go again. Usually Lilli and I travel in our old car. Our favorite places are at Peipsi (Lake) and in Southern Estonia. At Peipsi (Lake) there are very interesting small villages. In Southern Estonia there is Mt. Munamägi (Egg Mountain) and it’s good to look out of the (watch) tower there. If the sky is blue, Latvia can be seen from the tower. Of course we like the Estonian islands. Especially Saaremaa, where there are Kuressaare Castle and Kaali Lake, and Hiiumaa, where there is Kõpu lighthouse. When in autumn the days are already short and the nights long and dark, we want to fly like the birds to the southern countries/lands. Tomorrow Lilli and I fly to Cyprus. It is warm there and the sun shines. The sea is blue and the people are friendly. I like to rest by the warm sea in autumn or winter, because it is cold and dark in Estonia then. Lilli and I (=we) always say that we are two sun persons. My name is Eino Hein. I’m forty-six. I live and work in Haapsalu but I was born in Vormsi. Vormsi is a small island near Haapsalu. I’m married. My wife’s name is Tiina. She is thirty-seven. We have two children – a daughter and a son. The daughter’s name is Anu. She’s five years old. The son’s name is Andres. He’s ten years old. Anu goes to pre-school but Andres already goes to school. We also have a dog Bessi who is two years old. Bessi is Andres’s birthday present form grandma and grandpa. but what does his name mean this we really don’t know. Anu and Andres like to play with Bessi in the yard. Our family lives in a big house. In our house, there are three rooms and a kitchen. Behind the house there is a little garden. Apple trees, pear trees and cherry trees grow in the garden. Flowers grow in front of the house. In spring and in autumn there is always lots of work in our small garden. D 1 How many children are there in the family? A: Peeter, how many sisters and brothers do you have? B: I have only one brother. A: It’s strange, indeed, your sister says she has two brothers. A: Tere! Let’s get acquainted. I’m Jaak Tuul. B: Very nice (to meet you). My name is Helen. B: No, I’m still single. A: Let’s start to live together then. All the family is at home in the evening All the family is at home in the evening. and the father is at home, too. Everybody goes to sleep. Small kids are at home Only young mice don’t sleep. and dogs are also at home. They gnaw throughout the night. And old cats are at home What did they rustle? and mice are at home, too. Kids ask in the morning. Tomorrow night at 20 past six Lilli and I are going to aunt Erika at Pirita. Aunt Erika has a birthday tomorrow. Today she is still seventy-one but tomorrow she will be seventy-two. Her children Rain and Rita are also coming there. Rain is my cousin and Rita is my cousin. Rita for sure comes with Tõnis. Tõnis is her partner. Rita and Tõnis are getting married in August and we have to talk what to give them as a gift. They have been living together five years already and now they finally have a wedding. Usually we sit in the garden. Aunt Erika has a very beautiful garden. In spring tulips and daffodils grow there. They are beautiful indeed! Aunt Erika is a very joyful person, she likes to sing and dance. Aunt Erika lives alone, because her husband has died. Fortunately, Rain lives close, so it’s very good. In the evening I will call my cousin Ilmar in England. In the summer he is coming to Estonia with his family to Rita’s and Tõnis’ wedding. Then there will be a big party if all the relatives can come. D 1 What do/will you do in the evening? A: What will you do this evening? B: I must study Estonian. A: Study tomorrow. Let’s rather go to the movies. B: I really can’t, I have an exam already tomorrow morning. A: But are you free tomorrow evening? B: Yes, in the evening I’m (indeed) free. Call me after work. A: Okay, and then we’ll do something interesting. A: Hello, is this Maret? B: Yes, it is (= I can hear you). A: It’s Marko here. Would you like to go to a concert with me on Saturday. I have two tickets. B: Of course I want to go. What concert is it? A: The Tallinn chamber orchestra will play at Estonia (= concert hall). B: Oh, that works well. What time does the concert start? A: Seven. Then we’ll meet in front of Estonia (= concert hall) at a quarter to seven. B: Okay, see you on Saturday before the concert. A: What will you do/are you doing this weekend? B: On Saturday I will drive to the summer cottage and help my mom and dad there. B: On Sunday I am going for a walk with my children and in the evening my husband and I will go to the concert. What plans do you have? A: Saturday morning I have basketball practice and in the afternoon (= after lunch) my family and I will go to the movies. B: And is Sunday a day of rest? A: Yes, then we are simply at home and we don’t do anything. What am I going to do tomorrow? Well, in the morning I certainly go to work. My workday starts quite early — at half past seven. But it’s good because then it also ends early. When the weather is beautiful, I go to work on foot. When the weather is bad, I go by bus. At work, I sit at the computer almost the whole day, this is why after work I go to the gym right away. I will be there about an hour and a half. Then Lilli already is waiting for me and we go for a walk in Nõmme woods. In the summer, we sometimes go swimming. In the autumn, when the nights are long and dark, we are at home. Then we read books or listen to the music. I listen to hard rock, but Lilli classical music. In the winter, we sometimes go skiing, although Lilli doesn’t like it very much. She likes skating very much, but I still cannot skate vey well. Fortunately, Lilli goes with her (female) friend then. I think it’s easy to ski but to skate it’s too hard/complicated. But what are we going to do after walk? We probably watch TV because 10 past ten there starts an interesting French movie. So we go to sleep very late. Fortunately, the day after tomorrow we don’t have to go to work, because Saturday is a day off. D 1 Coffee is ready! A: Here is your coffee. Do you want sugar too? B: No, today I’ll drink without any. A: I made a couple of sandwiches. Take what you like. B: Do we also have porridge (oatmeal)? A: No, I did not make it today. We have eaten porridge every morning. B: Okay, then I can have a sandwich. D 2 Coffee or tea? A: Do you drink coffee or tea? B: I will probably drink green tea today. A: Do you want juice too? We have orange and apple juice. B: Give me the orange juice. And what do we have to eat? A: Yogurt and omelet, too. B: Ah, okay, then I’ll take some omelet. A: Good morning! How did you sleep? B: Well, but I am still a little sleepy. B: I went to the movie theater and the film ended very late. A: When do you come home today? B: I work until seven, so I’ll come at seven thirty. B: Morning! What plans do you have today? A: I will meet with Indrek after work. We went to high school together. B: Does he also live in Tallinn now? A: No, he is here for a conference/convention and we will meet in the evening in old town. B: Morning! Do you have any news? How did yesterday go? B: What did you eat for lunch? A: I did not have much time, so I ate a couple of sandwiches in a cafe. B: What did you do in the evening? A: I went to a concert. A: Will you have a busy day today? B: Yes, in the morning at 7:45 I have a French class and after this I immediately go to work. A: Are you free during lunchtime? B: No, then I’m meeting with Anna. She is my old (female) friend from St. Petersburg. A: Well, and what are you going to do in the evening? B: I’m going to the gym/Estonian: training? ?, I’ll be there till nine thirty. A: Then see you in the evening. B: I work at a family health clinic as a nurse. B: He works as a security guard in a company. A: Where do you work? B: I work at the Maarjamõisa hospital. A: How long have you been working there? B: In the autumn it will be five years. A: What work does you brother do? B: He is a car mechanic. A: Does he work in his house? B: No, in Linnu road car repair shop. A: Very good, then I must also go to him for my car. A: What work do you do now? B: I work in construction. A: Really? We need a good construction worker. We just started to build a new home. Do you want to come to work for us? A: Good afternoon! The Old Town Hotel’s restaurant. B: Hello! My name is Martin Suvi. I am looking for work as a waiter. Does your restaurant need a new waiter? A: Yes, we’ll take two or three new people. Where have you worked before? B: I finished High School this spring and in the summer I worked for two months in Pärnu Postipoiss (name of the restaurant). A: Very good. Can to come here tomorrow morning? Then we’ll talk. B: Fine, what time suits you? A: Well, let’s say eleven for example. B: Yes, very good. I’ll meet you tomorrow. A: We’ll wait for you. Goodbye. A: Please tell me, what education do you have? B: I finished High School in Võru. A: What year did you finish? A: What did you do after that? B: Then I went to study to Tartu, in a vocational school. A: What specialty/field did you study? B: I studied to be a chef. A: I see. Do you work in your specialty now? B: Yes, I’ve been working in the Toomkooli restaurant for three years already. A: How do you like this job? B: In general, I like it very much, I am happy that I found this job. Ending -L coincides with the question, except for months (juuniS). A very easy and straightforward topic. Just remember these six verbs in two columns. The first column – verbs of movement – take -MA. More place names. Concentrate on 0-endings = short forms which don’t have -SSE or -LE at the end. minema – movement in one direction. Homme ma lähen kinno. (No information on if or when I’m coming back). käima – routine; movement in two directions: going and coming back. Ma käin tööl rattaga. (routine and movement in two directions: Every day, I go to work and come back). Ma olen juba käinud Egiptuses. (I went and came back). No commas after single words at the beginning of the sentence and before JA in the middle of the sentence. Kahjuks… – no comma; Esmaspäeval… – no comma. Pronunciation practice, say it fast: kuus uut suurt kuud = six new big moons. Stretch all the “uu”-s.
See on minu sõber. Ma sõidan koos oma sõbraga. Minu vanaema nimi on Linda. Ma elan koos oma vanaemaga. When an action or activity is involved, use oma. In fact, you need to learn two forms for numbers – nominative and genitive. Just remember: genitive is used in the age-phrases üheaastane, kaheteistaastane etc. Most number-phrases (in the future units) use the genitive form as a basis. Parallel forms: kaheteistaastane = kaheteistkümneaastane (use the short form but understand also the long one). NB! Kui vana ta on? Kui vana/d nad on? TIP: learn age-expressions by heart as a poem. Forget kaks, kolm… just remember kaheaastane, kolmeaastane…. It’s worth the effort – knowing age-expressions you will feel much comfortable when learning the dates in the future. There are more verbs that take -DA than take -MA. Conclusion: it’s wise to remember verbs with -MA, the rest take -DA. There are no rules for which verbs take which infinitive (except for verbs of movement+-MA). Time expressions in Estonian are various and complicated but they are all widely used, both in colloquial speech and in the media. viie minuti pärast (on kell) kolm (= in five minutes it will be three). Numbers in genitive, as in viieaastane. kaks minutit kuus läbi (= two minutes six over). läbi – easier, always at the end; numbers remain in nominative. NB!!! So-called army numbers are not used with pärast/läbi. Yes, it’s true, you can always use digital numbers but Estonians use läbi/pärast expressions a lot. In addition, soon you will see how frequent this little word pärast is: see you in 20 minutes, call me in an hour etc (….pärast). Just be aware that adjectives and nouns with question KUS? both have endings. Not the most important issue at this point but you need a few frequent expressions like: ma elan suures linnas, väikses külas, punases majas. NB! tuba, koht – very important frequent words, be sure you know all the forms. 1. Kas teil lapsi on? lapsi is partitive (3rd form) plural. No explanations here. Take it as a phrase. Plural partitive has a variety of endings and is introduced in unit 11. Until then, avoid using palju with countable nouns, as it requires the plural partitive. Use numbers and a question mitu? instead: Mul on kolm head sõpra. Mul on sada eurot. Mitu last sul on? etc. sugulased – onud, tädid, nende lapsed jne. heidavad (heitma) – used rarely, no need to remember it. Ma ei kuule teid. Õnnitleme sind. Palun kuula mind! 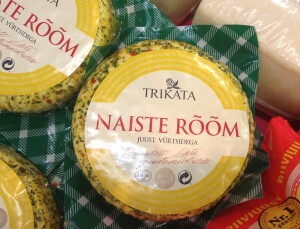 Ma ei näe sind. The only way to learn – memorize 0-endings. The only verbs of this kind. Very frequent, learn firmly. Ma vaatan telekat. Ma ei näe mitte midagi. Ta vaatas aknast välja. Ma tahan ka seda filmi näha. minu usually a fact or statement. 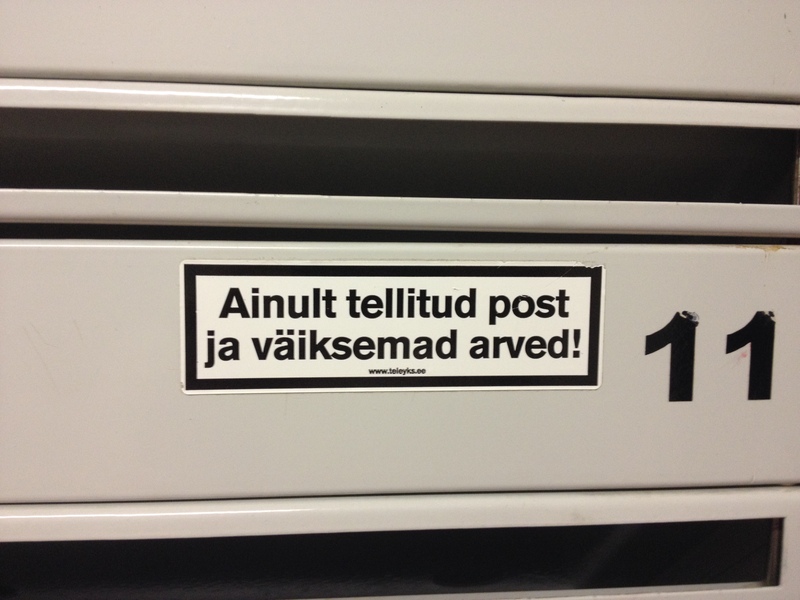 Use it actively; seepärast/sellepärast – a bit later. 2. Mida sa täna teed? = Mis sa täna teed? In colloquial, often mida? = mis? 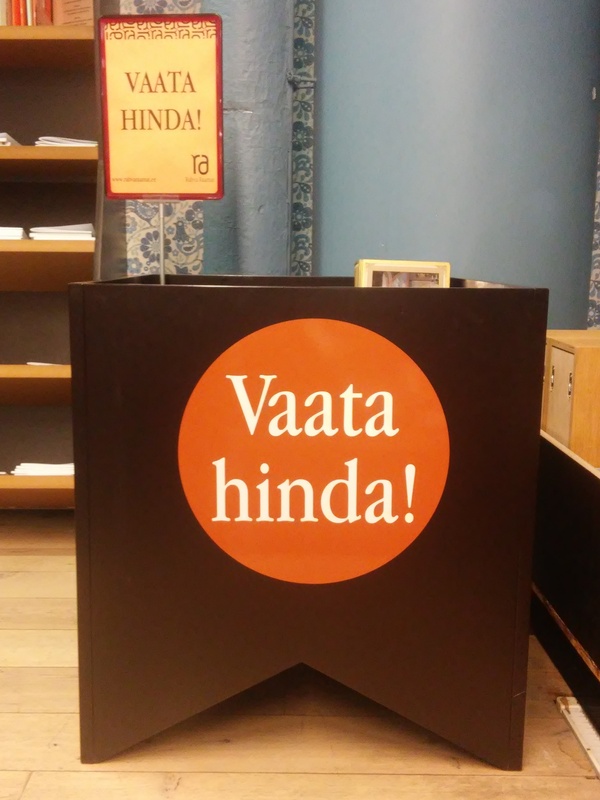 Nädalavahetus is used more often than nädalalõpp. Remember firmly as a set phrase. Mis sporti sa teed? Ma mängin võrkpalli. Some female students, especially in Sweden have taken this text very seriously. You, please don’t. A very frequent suffix, use it actively. Mulle meeldib ujumine. = Mulle meeldib ujuda. Mulle meeldib suusatamine. 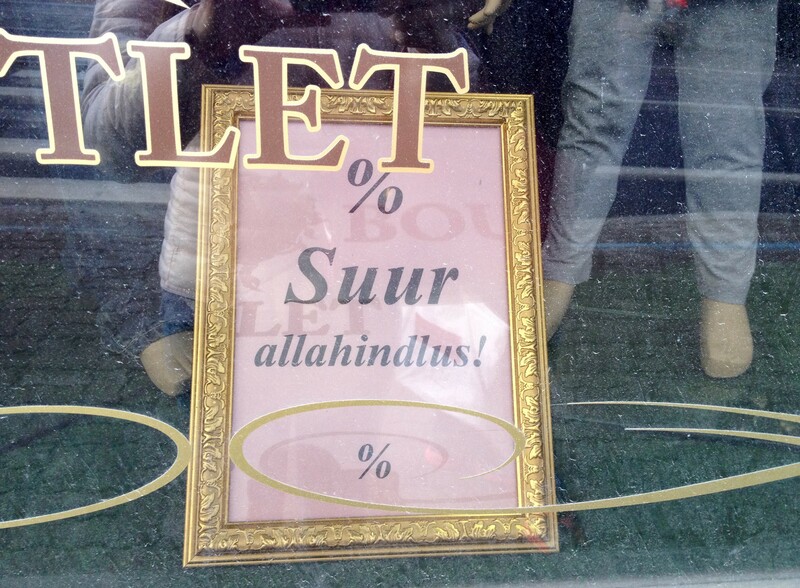 = Mulle meeldib suusatada. Very frequent: Ma ei saa täna õhtul tulla. Ta ei saa kell kuus tulla. In general, not very complicated in Estonian. Vast majority of the verbs are regular with -SI. Learn firmly -I – verbs. In this unit only 10 of them. This is just an introduction to the past tense. Don’t worry, it will take some time to become confident. Not very frequent forms, at this point mainly passive usage = just recognize. Primarily used with preposition. Learn a few useful phrases: palun ilma suhkruta; kas see supp on ilma lihata? (without meat). Very important to remember and practice. NB!!!!! Whenever you use: Ma SÕIN, JÕIN, LUGESIN, TEGIN etc. – always a bell starts ringing – 3. form. A very important verb. Learn as a chunk: kohtusin sõbraGA, JohniGA, LauraGA. Avoid plural, just say: met with one friend. Later you will have more friends. Cover the sentences under the pictures and practice activities both in present and past tense. Aslo, tell the story in more details (what else you see in the pictures). A complicated topic. First step – recognize and understand dates in speech. Learn a few important dates for yourself: your/your friend’s birthday etc. milla/L? – -L always at the end of the last word. mitmeS? (= which number?) used only in number expressions. -S always in the last word. Mitmes harjutus? = Which (number) exercise? – Kolmas harjutus. Which color = missugune/milline/mis värv? English CAN = three words in Estonian. NB!!!! The most important word hakkama – beginning of an activity. Forget algama/alustama when saying you started doing something (learning Estonian etc). Millal sa hakkasid eesti keelt õppima? Ma hakkasin eesti keelt õppima kuus kuud tagasi. Nad hakkasid maja ehitama eelmisel aastal. Very limited usage. Learn only the phrases in the textbook. Don’t try to form your own sentences. Very important. Remember the verbs that take 3. form, learn as phrases. KelleNA te töötate? (= As what do you work?). Learn it as a phrase. Kaks vastust: Ma töötan arstiNA. = Ma olen arst. Täna ilm on pilves, päike ei paista ja tuul on tugev. Mulle meeldib, kui vihma sajab. Minu sünnipäev on ka sügisel – oktoobris. Ma sõidan sinna oma perega. Meil on seal väike suvila mere ääres. Hiiumaale me sõidame bussi ja praamiga. Kevadel ma tahan minna Pariisi. Ma olen abielus. Minu naise nimi on Karin. Meil on kaks last. Nende nimed on Mart ja Liis. Poja nimi on Mart ja tütre nimi on Liis. Mart käib lasteaias ja Liis käib koolis. Mart on viieaastane ja Liis on seitsmeaastane. Me elame väikses majas pargi ääres. Meil on ka suur aed. Aias kasvavad õunapuud ja lilled. Täna ma pean veel eesti keelt õppima. Ma lähen magama pool 12. Mida me täna õhtul teeme? Mida sa teed vabal ajal? Mulle meeldib kinos ja kontserdil käia. Täna ma ei taha kinno minna. Pärast tööd ma lähen metsa jooksma. Ma käin jooksmas kolm korda nädalas. Mis kell ja kus me kohtume? Ma ei saa täna trenni tulla. Ma uisutan ja käin ka ujumas. Ma ei ole seda filmi veel näinud. Äratuskell helises kell pool seitse. Ma tõusin üles kell seitse. Ma sõin võileiba ja jõin kohvi. Minu töö algas pool üheksa. Pärast tööd ma käisin ujulas. Pärast seda ma kohtusin sõbraga kohvikus. Ma lõpetasin keskkooli aastal 2015. Kas teil on pakkuda tööd kelnerile? Ma olen töötanud seal kolm aastat. 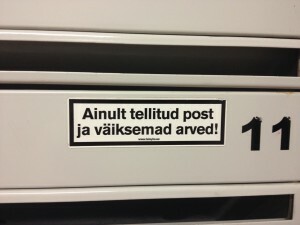 Üldiselt mulle väga meeldib mu töö. Ma ei oska seda tõlkida. Kas homme pool kümme sobib?